The modern society is nothing more than a shadow of what it used to be. The greatest change in this society involves the emancipation of women’s rights and a greater emphasis on gender equality. There is no denying that this is a positive shift but it is also hard to deny the fact that the women of today bear more upon their shoulders. Juggling the demands of both family and career could be a tricky and steep slope, and if you’re not careful, you could stumble and all the stress and pressures of life could take a toll on you. This is the reason why it is extremely important for women to take extra care of their health and start from an early stage when your body is still able to absorb as much nutrients and supplements that you are giving it. 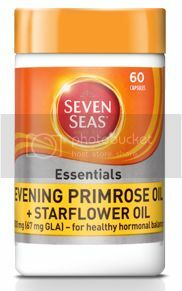 Whilst there is no denying that the market out there is offering a ton of products and supplements for womens’ health, Evening Primrose Oil is a very popular supplement for women. Made from the seed of the evening primrose flower, it is a naturally occurring essence that contains gamma linolenic acid which the body converts into a hormone-like substance that is known as prostlaglandin. This works to balance out the hormonal systems in women which leads to a general improvement in wellbeing. Investing in one’s health is definitely an investment in which the gains and benefits are purely enjoyed by you, and Seven Seas’ has been a long trusted brand in this field.